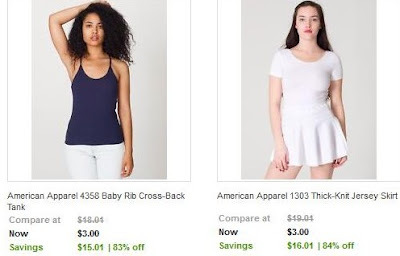 $3 Tanks & Skirts from American Apparel + Free Shipping! Wow! Right now at eBay Fashion Vault, you can get American Apparel clothing at a huge discount. For example, there is a tank top and skirt for only $3 each. There's also a number of items priced from $5-$7 and more. All items ship for free! This sale is available to Fashion Vault members only, so you'll need to register first in order to check it out.